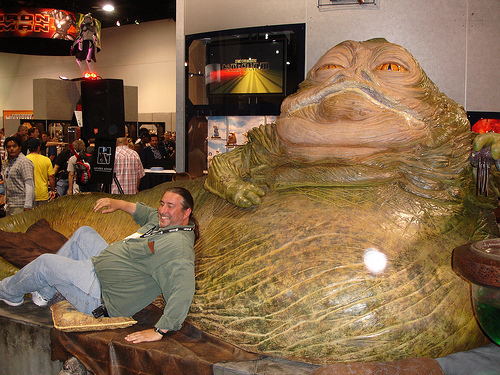 The above photo is Jabba the Hutt. 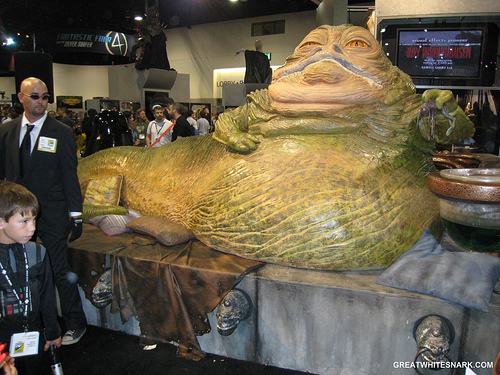 But since he graced screens in 1983’s Star Wars Episode VI: Return of the Jedi, his image has been altered more times than Joan Rivers (bing! ), even in newer Star Wars flicks. 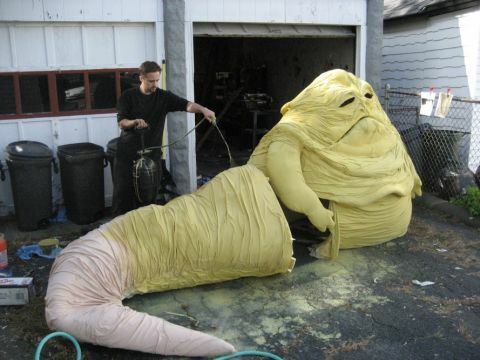 So much for being Jabba the Hutt for Halloween. This looks more like Mr. Potato Head without the accessories. Hello, Lego? It’s the wrong COCKADOODIE color! 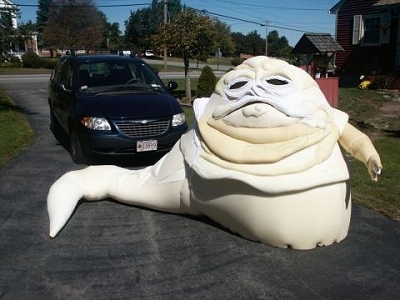 Just the type of item that every intergalactic gangster wants to be. 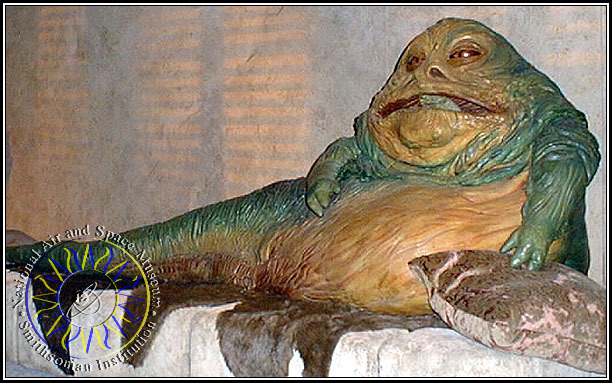 From this Clone Wars fiasco, this is the offspring of a Hutt and one of the ghosts from Pac Man. The original toy from Kenner simply rocks. 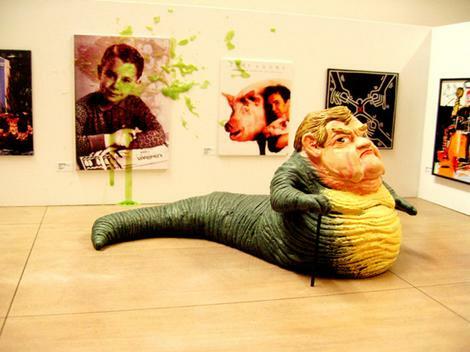 In case you want Jabba in action, here’s a diorama of Princess Leia and Jabba the Hutt. Lovely. 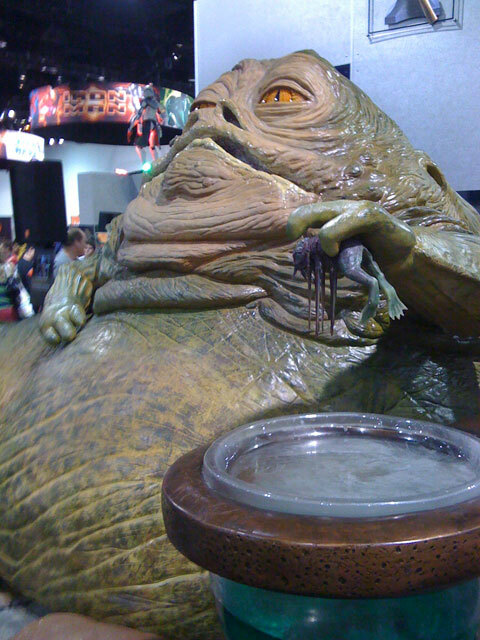 Sideshow Collectibles has many other Jabba the Hutt-related items. 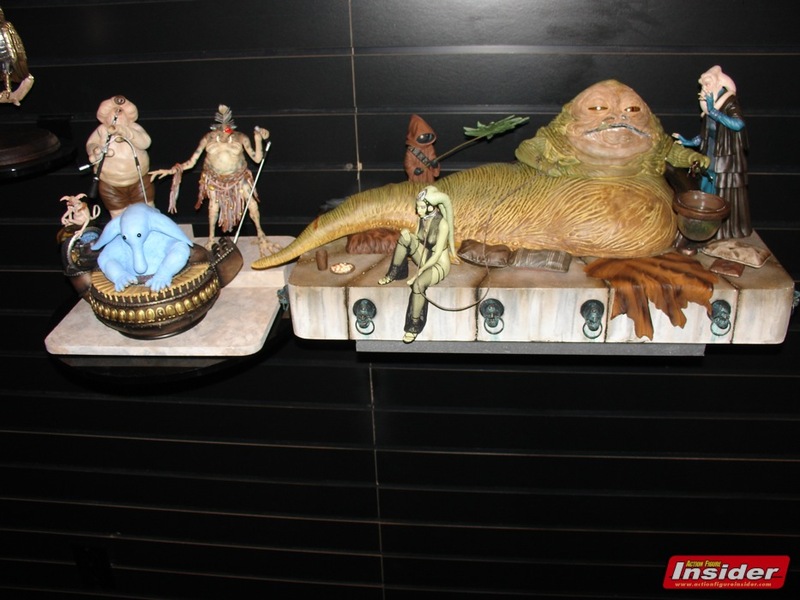 Search for “Jabba” on Sideshow’s site, and you’ll find items such as a Gamorrean Guard bust, Rancor bust, Slave Leia and Boba Fett figure. Also check out the Hottest Princess Leia Stuff. 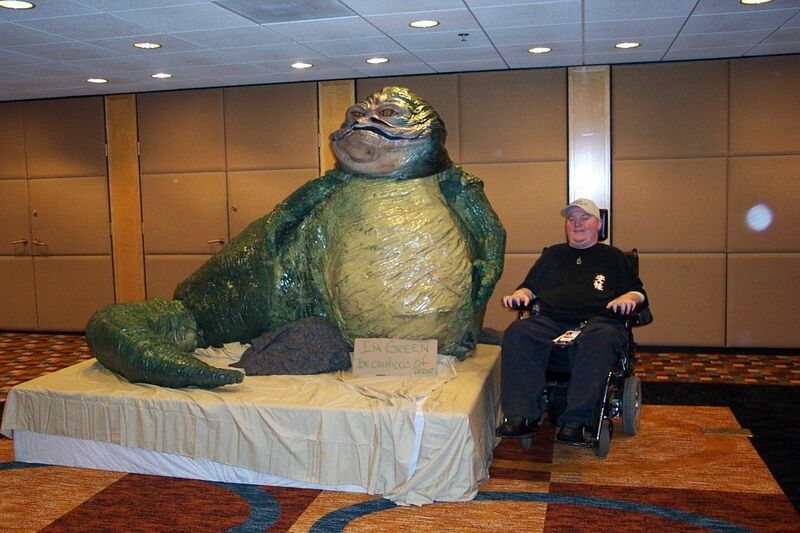 This is the Gentle Giant Jabba statue which comes with everything pictured. That’s the advantage to getting this one over the Sideshow Collectibles one, which you need to buy in pieces. However, ultimately, Sideshow’s is better if you’re willing to buy each piece. 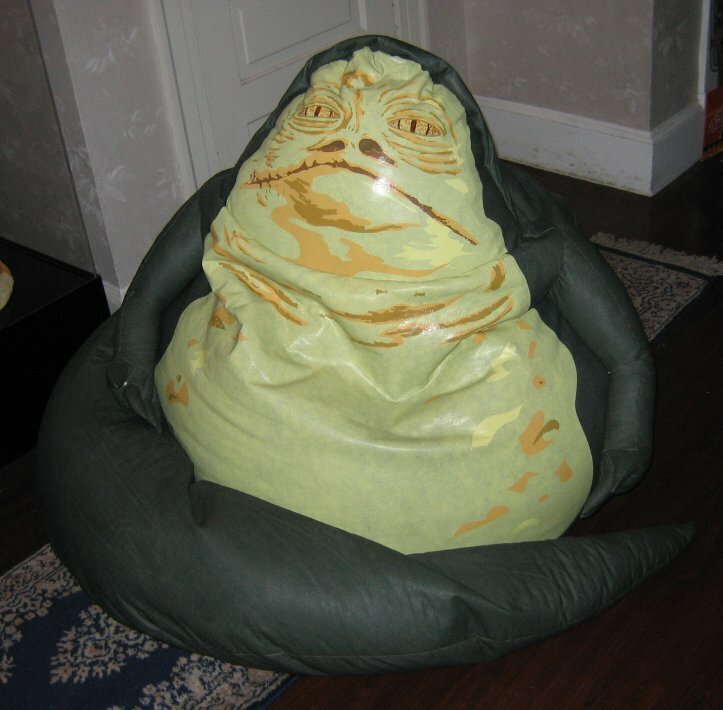 According to Amazon, this one is an exclusive limited edition Jabba the Hutt by Mario Chiodo and Illusive Originals, which measures 30 inches long, much bigger than the Gentle Giant or Sideshow Collectibles ones. It includes a deluxe wood display base and has a certificate of authenticity. 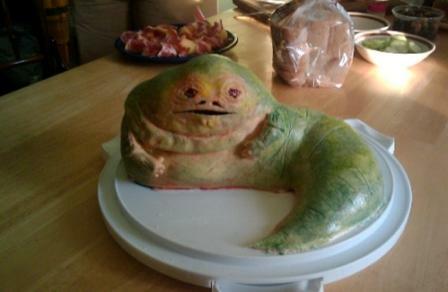 Now, to end this, let’s take a look at photos of a search for Jabba the Hutt across the net.